Dept. of Empowerment of PWDs, Central govt. is working consistently for financial inclusion of diyangjans through various schemes. 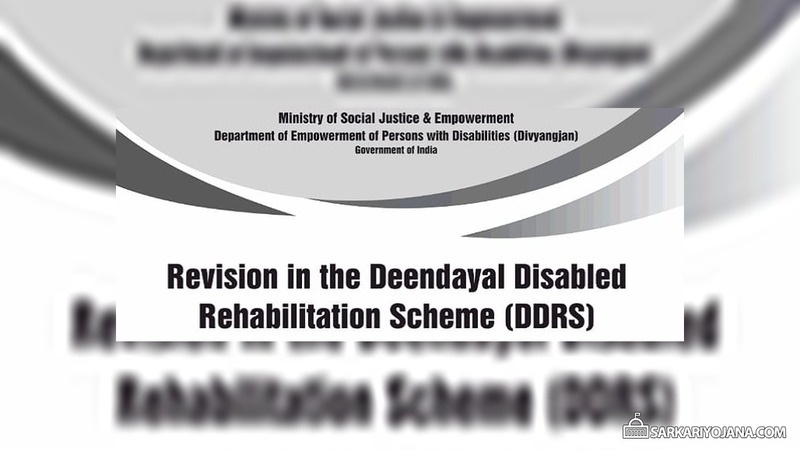 One of such schemes is Deendayal Disabled Rehabilitation Scheme / revised ddrs scheme 2018-19. Under this scheme, govt. provides financial assistance as per the revised cost norms of ddrs to voluntary organizations. These ddrs grant to NGOs 2018-19 helps in rehabilitation of PWDs in areas of early intervention, special education and community support. DDRS scheme is now rationalized and financial assistance is also increased substantially. Revised DDRS Scheme is applicable from 1 April 2018. National Handicapped Finance and Development Corporation (NHFDC) is providing loan @ 4% to start employment scheme under Deendayal Disabled Rehabilitation Scheme (DDRS). As per the SECC-2011 data, there are around 2.68 divyangjan in the country which accounts to 2.21% of total population. So, there is a need to empower all the PWDs for the growth of nation. Pre-School and Early Intervention and Training. Special Schools for Person with Intellectual, Hearing, Speech and Visual Disabilities. Projects for children suffering from cerebral palsy. Rehabilitation Purpose of Leprosy Cured Persons. Half Way home of Psyco-Social Rehabilitation of treated and controlled mentally ill persons. Home based rehabilitation and home management. Total cost including the rates of honorarium of project staff is now increased to 2.5 times the existing rates. DDRS grant to NGOs / Implementing Agencies is now 90% of the amount as per cost norms of ddrs scheme. However in certain specified areas, NGOs will get 100% amount. All the application for revised ddrs scheme 2018-19 are only invited through this portal. Processing and sending recommendations by the state govt. has been simplified. Till date, around 44,000 Persons with Disabilities have been trained and learned various skills to get jobs. Now central govt. has revised the target to train 5 lakh PWDs till the end of FY 2018. This is a next step to achieve the target of skilling 25 lakh PWDs till 2022.